Last month I hung out for a few days at the annual National Alliance for Musical Theatre’s membership conference and Festival of New Works. The occasion was the pre-launch of our partnership with NAMT to provide an integrated job search site for their members on their NAMT.org website. I listened in on their conference sessions about increasing diversity in the workplace, paying livable wages for back office and artistic staff, and the importance of internships and meaningful work experience for “coming up in the field”. It reminded me that these issues are universal across every discipline; everyone is trying to better understand how to make the sector – in all its forms – a more integrated, diversified, inclusive, and equitable place to work. Michael R Jackson in his essay (below) wonders what happens after Hamilton? What kind of impact does it really make on the way we more closely mirror America through the theatrical medium. It is always heartening to hear board members, administrative and artistic staff all talking about solutions and looking for answers. While it may seem like an old story, every conversation is an opportunity to make one more step in a forward direction. As long as we keep moving forward and making real efforts at progress rather than wringing our hands and assuming it will happen simply because we use Harold Hill’s now famous “Think System”. Our efforts may not be perfect, but fear of imperfection will only ensure failure if it keeps us from trying to find new ways to everyone under the tent. There are also really important efforts by different arts professional and service-related associations that could and should be shared outside of their existing membership bases. Finding a way to make that happen is definitely on my radar. But in the meantime, if the Café can be of any help in facilitating dialogue or opening cross sector/cross-discipline discussion, please reach out and let me know how we can help! Unpacking Diversity in Musical Theatre is an essay by Michael R Jackson from September 2015’s HowlRound. 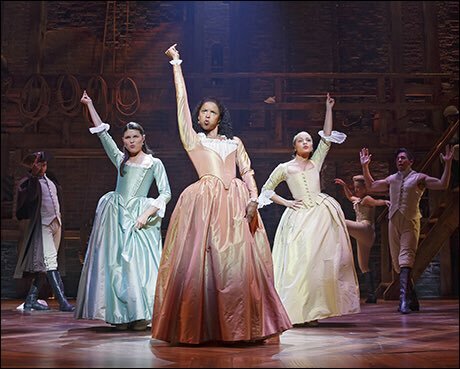 7 Reasons Why We Really Are in Living in a Golden Age of Musical Theatre by Kevin Michael Jones (April 2016) touches on the issue with hope for the future. Finally I share this wonderful post from Bustle.com about what today’s Music Man could look like with a more diverse cast – enjoy!